1. 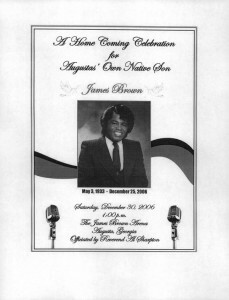 The New Georgia Encyclopedia – Don’t know much about James Brown? This is a good place to start. Although he was born in Barnwell, South Carolina, he was a Georgian through and through. He spent most of his life in and around Augusta, Georgia, where a street is named for him and a statue stands in his honor. 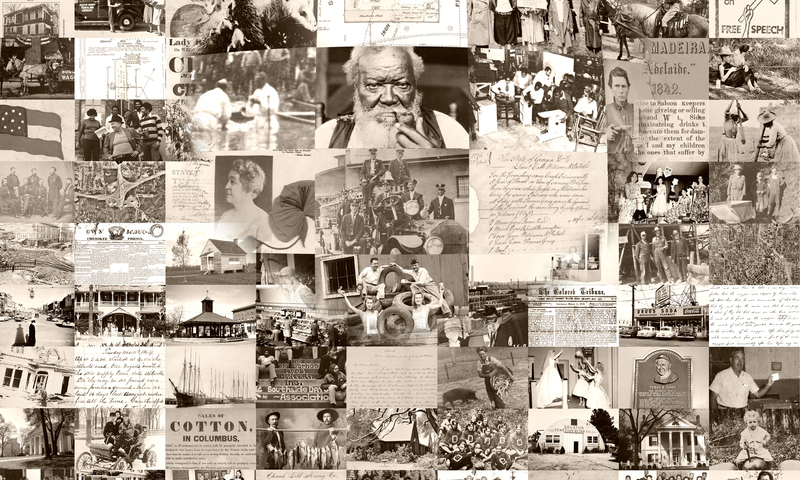 The image below is included in the article courtesy of the Atlanta University Center, Robert W. Woodruff Library Archives. 2. 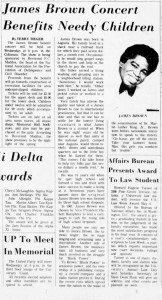 The Red and Black Newspaper Archive – Included here is an article from the April 30, 1968 issue of the Red & Black (the University of Georgia’s student newspaper) announcing a benefit concert he held in Athens to benefit underpriveleged children. Can you imagine seeing Soul Brother Number One for the ticket price of only $3.50? What a deal! 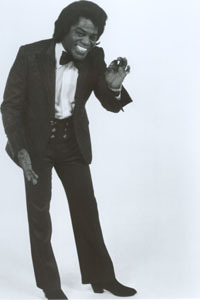 There are many other news articles related to James Brown in the archive and can be searched by keyword. 3. 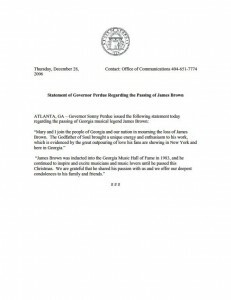 Georgia Government Publications – This is a December 28, 2006 press release from Georgia governor Sonny Perdue regarding the death of James Brown, who had passed away a few days earlier on Christmas. 5. James Brown YouTube Concert Clip – They don’t call him the Hardest Working Man in Show Business for nothing. Check out this clip of him performing Good Foot in concert in the early 1970s. It’ll blow your mind. Y2K…anyone? Planes falling from the sky, computers unable to tell time, nano-level Keystone Kops type stuff bringing everything to a complete stop. I forget exactly what the fear was (we’d wake up on the LOST island?). This First Friday Briefing (pictured) from the Georgia Department of Defense recounts the “sigh of relief” as all heck did not break loose upon the arrival of the year 2000.